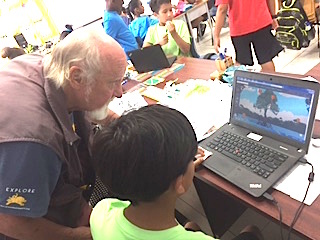 Year 5 students, Edna Moyle Primary, Grand Cayman, posting findings on the MM website with MAP’s Martin Keeley. 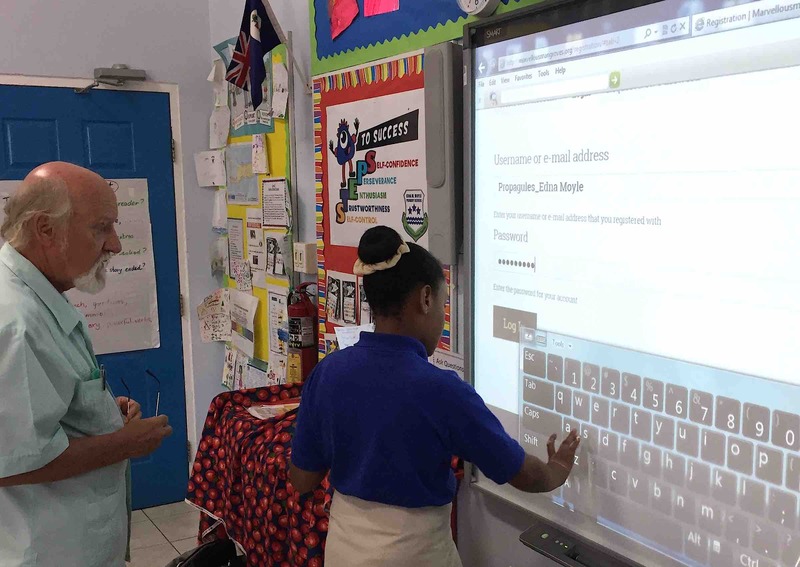 Working with the website on the smart board with Year 5 students, Edna Moyle Primary, Grand Cayman and MAP ED Martin Keeley. 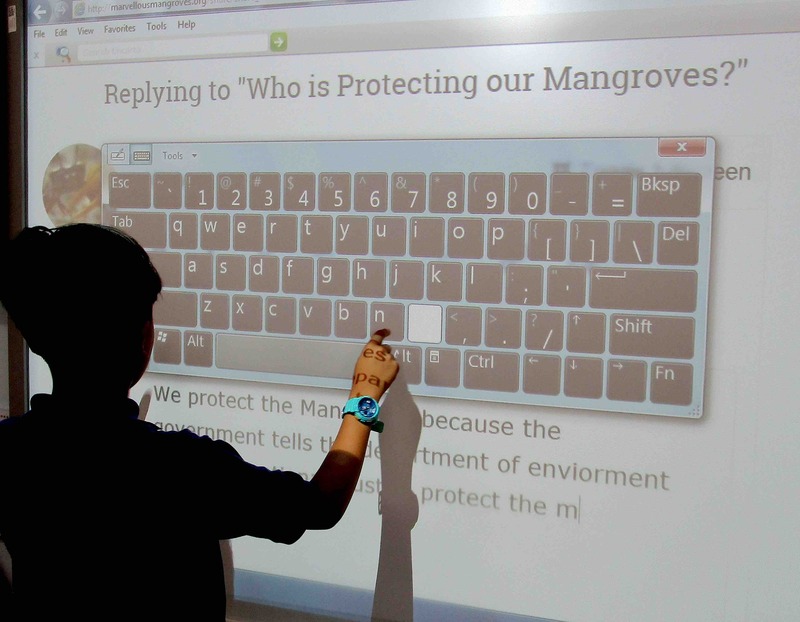 Working on-line as well as on the smart board recording data and illustrations from field trip to the Central Mangroves by Year 5 Edna Moyle Primary, Grand Cayman. 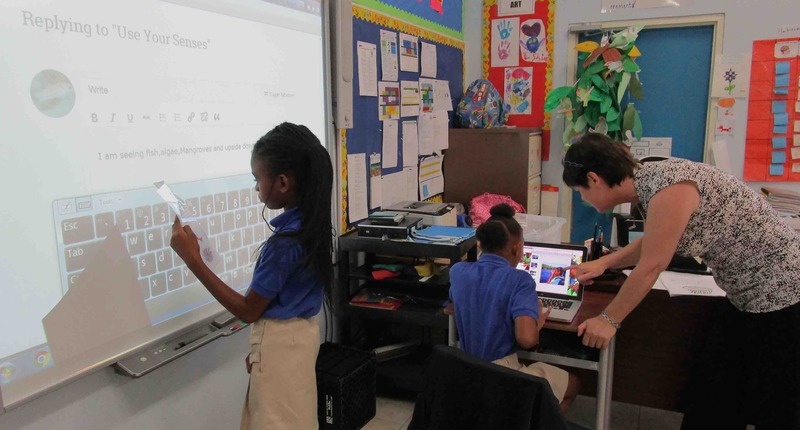 Teacher Janice Brown guides her students.